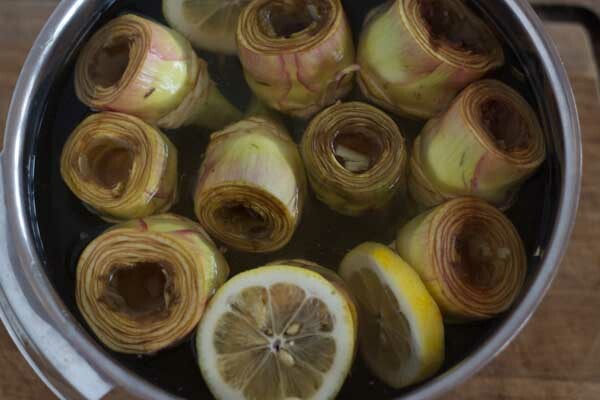 Select a bowl large enough to hold all the artichokes and fill 3/4 of the way with water and add 1 lemon, juiced. 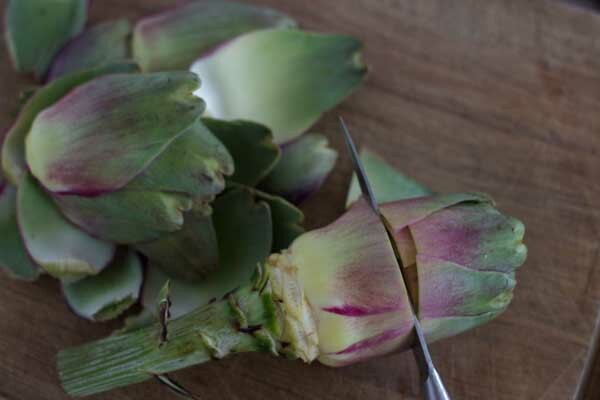 Rinse the artichoke and dry off. 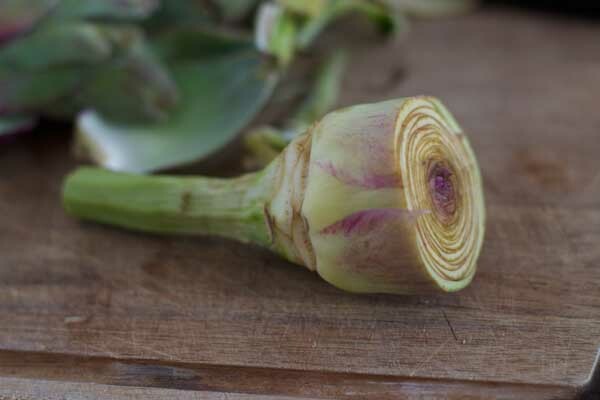 Starting at the stem end, pull back the leaves and snap off at the base. 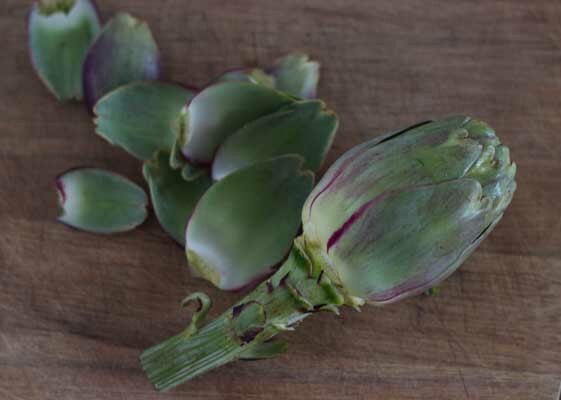 Keep removing leaves until the very tender, light yellow leaves are exposed. 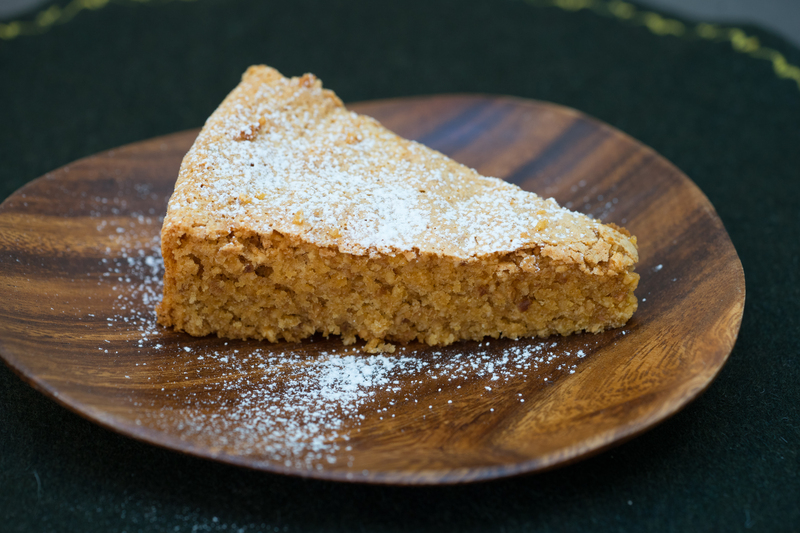 Use a paring knife to slice off the green part of the leaves. 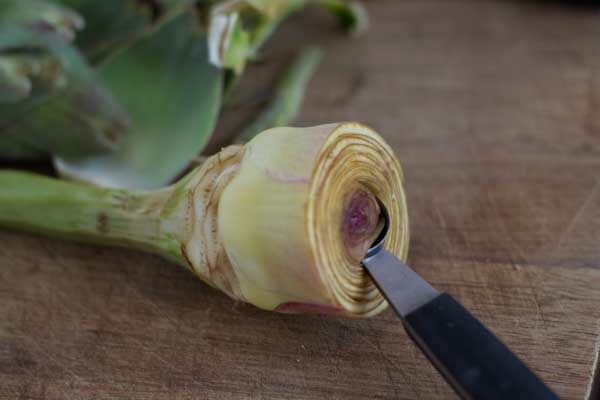 Use a paring knife, to trim the base of the stem. 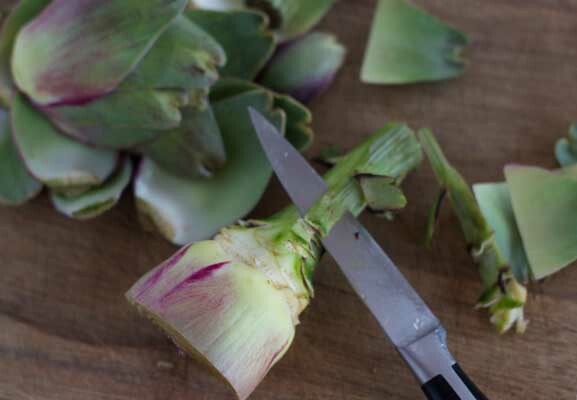 Use the paring knife to trim the base of the artichoke where the leaves were pulled off and peel the stem. 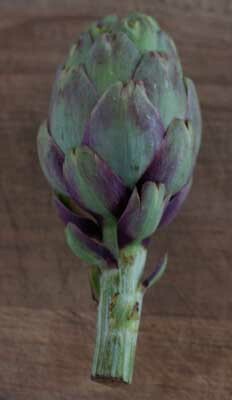 Keep turning the artichoke until the stem is completely trimmed. 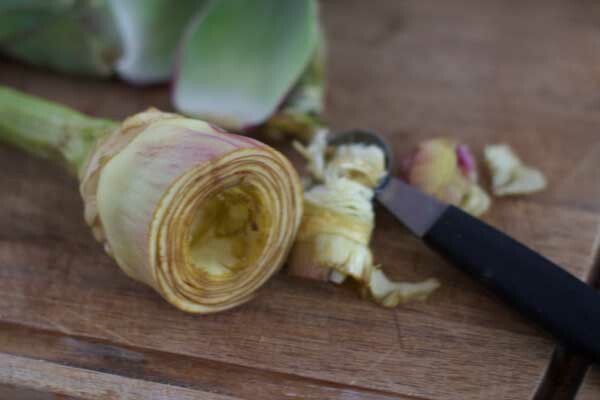 Use a small spoon or a melon baller to scoop out the choke of the artichoke. 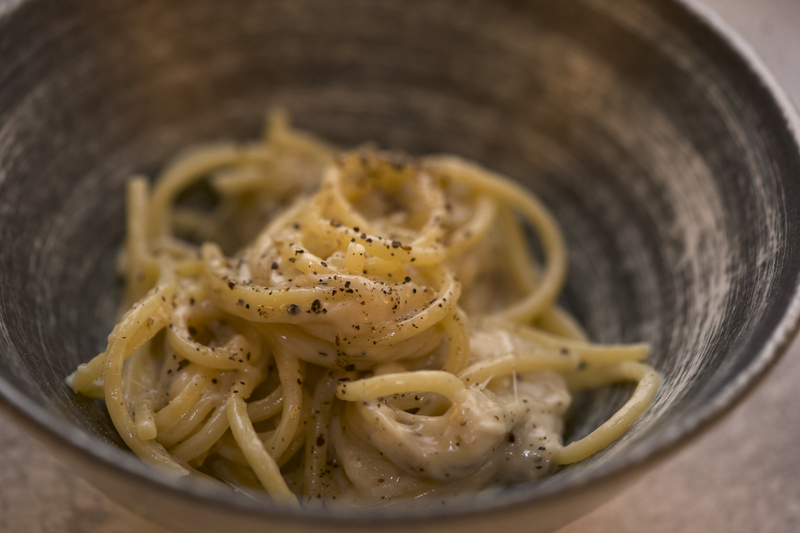 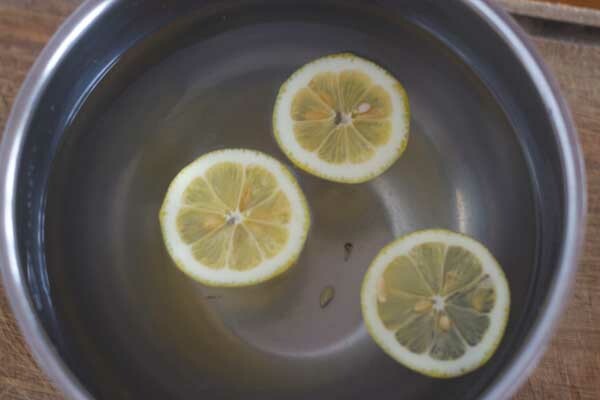 When completely cleaned, add to the lemon water to keep the artichoke from oxidising. 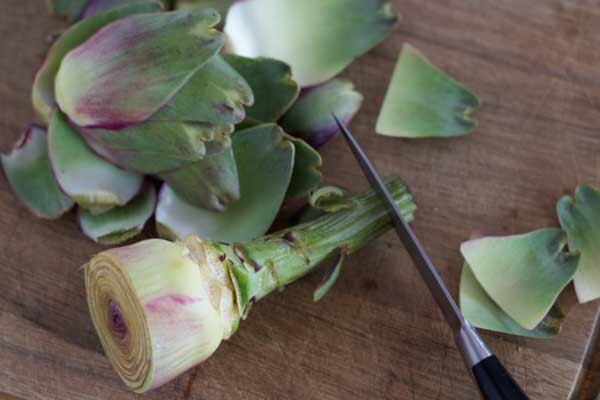 *To get just the choke, use the paring knife to trim all the leaves and stem.